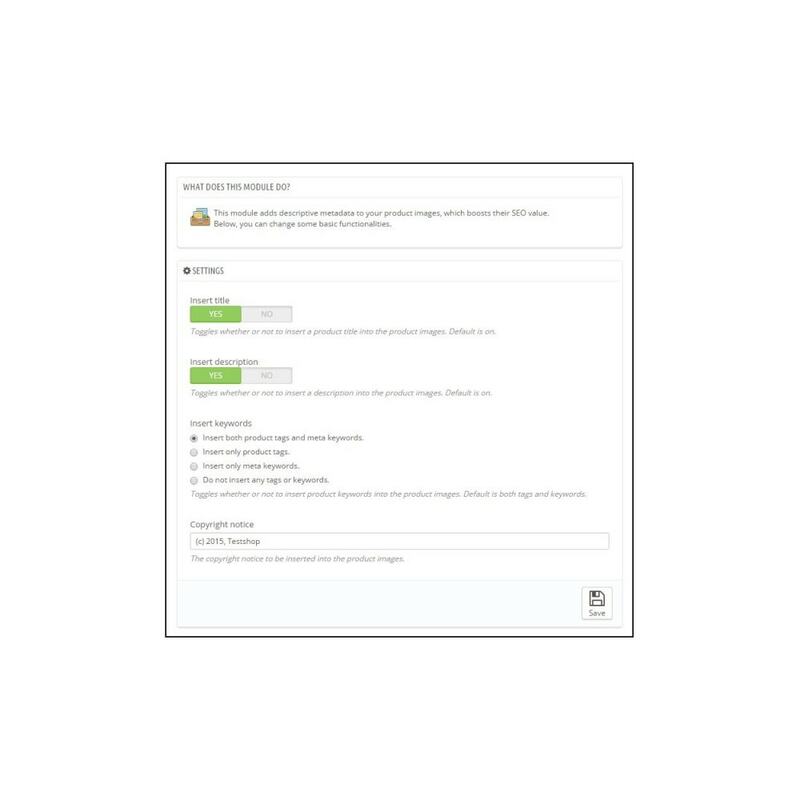 This module adds meta descriptions (EXIF/IPTC data) and tags to your product images, which improves SEO. 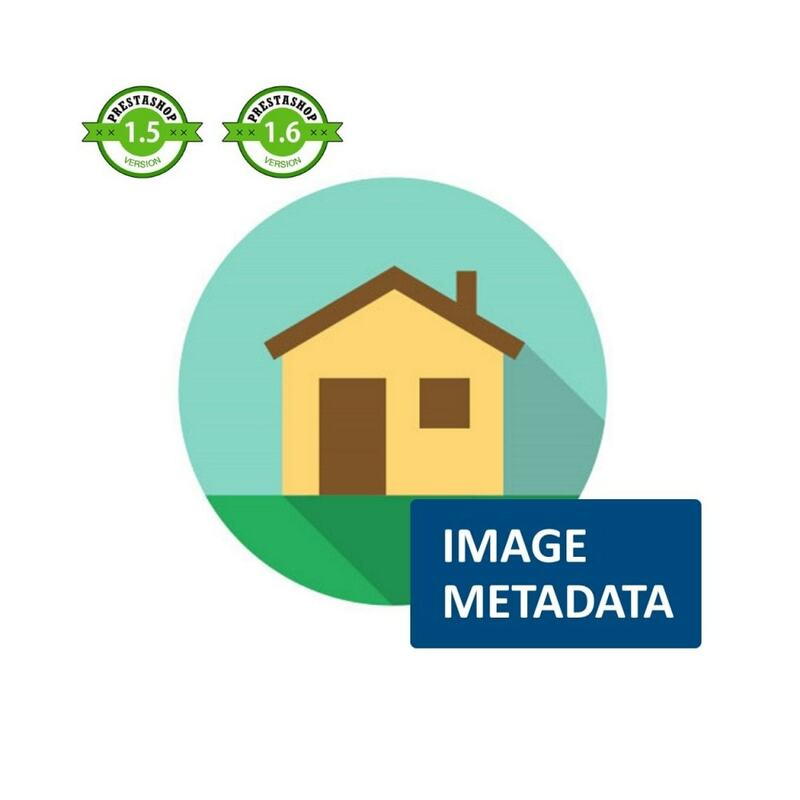 Since your images contain relevant metadata in this way, they are better indexed by search engines, improving your SEO. This module adds product descriptions, product names and product keywords to your product images, which is relevant metadata that can be indexed by search engines. Note that product translations for each language you use in your shop are written into the image: you are not limited to just one language! This module does not, as of yet, work with images in the PNG format. Clear the cache, under Advanced Parameters → Performance. On the toolbar you'll find a button 'clear cache'. Make sure you regenerate the product thumbnails! This can be done under Preferences → Images. 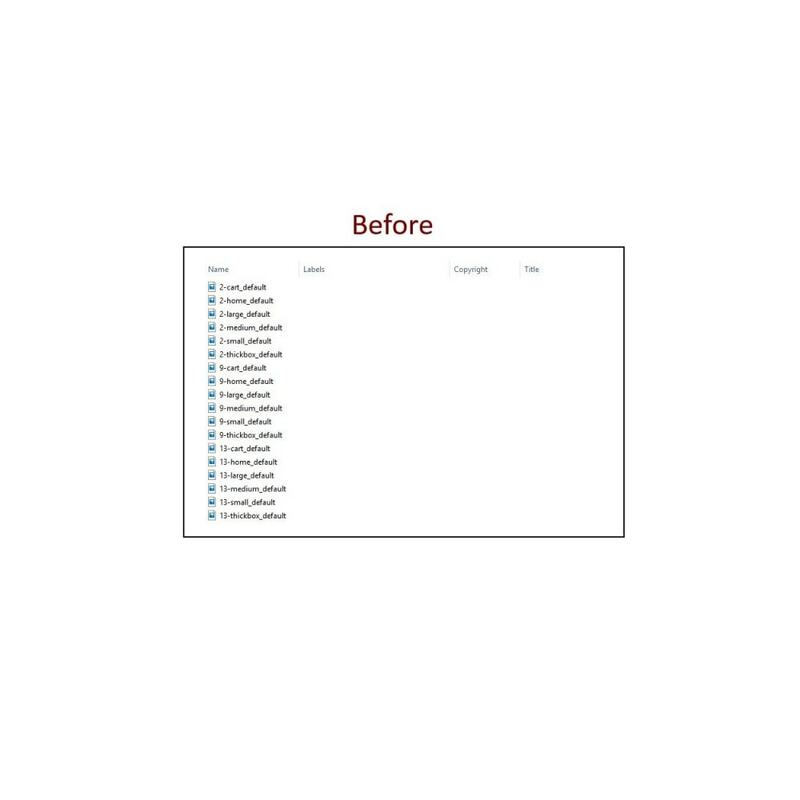 Click 'Select Images': 'Products' and 'Select a format': 'All' and regenerate these thumbnails. Save time by using an intuitive interface to update the accessory combinations between your products, and mix-and-match using the filters provided!